This summer we made a brilliant new creative friendship in the form of Ian Davies, photographer par excellence. Ian is in the process of collating a 100 strong collection of portraits of people who work in the creative industries in Birmingham, only with a slight twist. The plan is to capture people in their natural creative environs in a slightly tongue in cheek way. 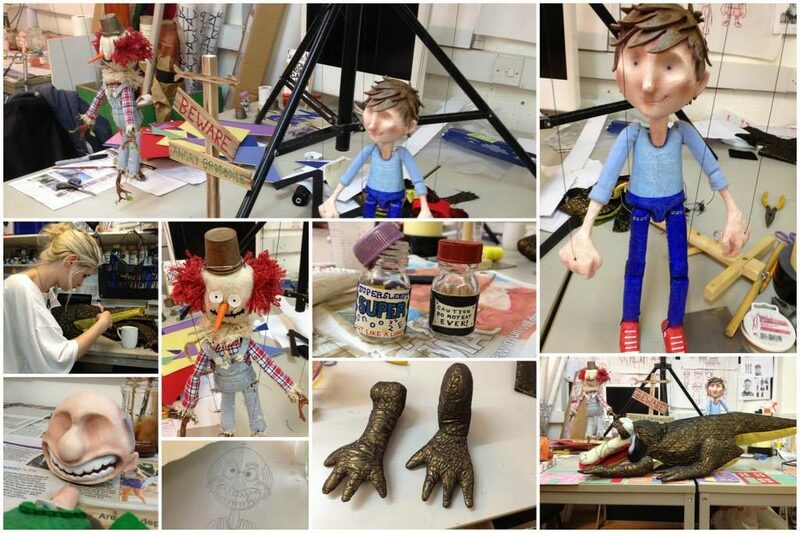 For the denizens of a stop-motion studio, Ian came up with idea of compositing subjects in amongst some of their own miniature sets and puppets. 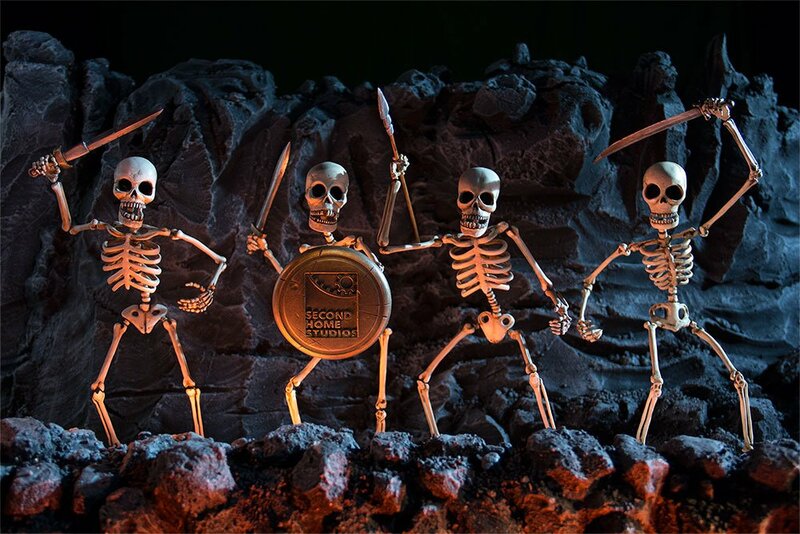 What better source of inspiration for this than the skeleton army in Jason and The Argonauts? Outnumbered. 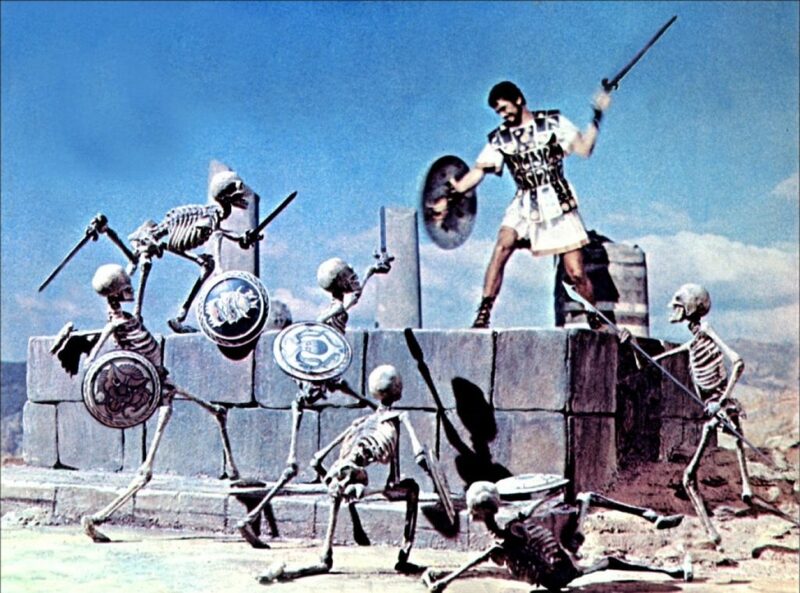 Still from Jason and The Argonauts. This classic adventure film is known to all stop-motion animators for the handiwork of the late, great Ray Harryhausen (all kneel). What Harryhausen achieved using back projection techniques and film cameras was truly groundbreaking and still stands the test of time as an iconic piece of filmmaking. 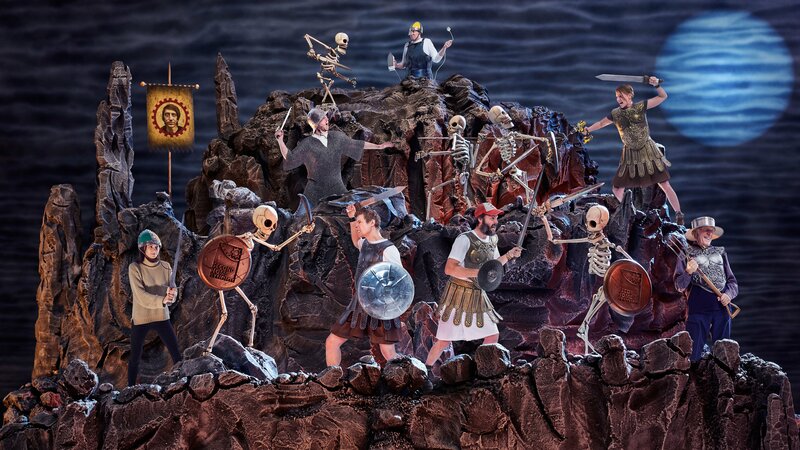 We had tremendous fun coming up with the designs and building the scene of 8″ skeletons on a volcanic looking mountain. Kudos has to go to Tristan Pritchard (sporting the fetching mail armour mid-left) and Amanda Haas (the badass drill queen mid-right) for getting stuck in with much of the model making work, including custom branded shields. 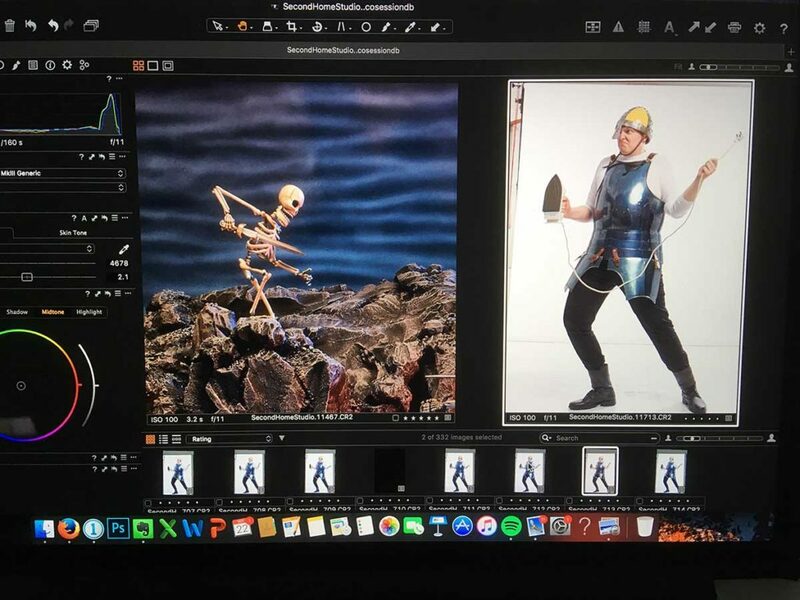 We borrowed some re-enactment armour from studio pal David Checkley (and some household appliances), and took off to Ian’s studio to shoot the additional plates. Stir in some photoshop and hey-presto: a battle scene with the undead. 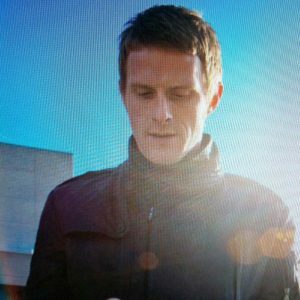 Of his ongoing project, Ian had this to say: “My Brum Creatives portrait project came about when I was assisting in London. I got the hump over so many people mocking Brum – the city and the accent. I had the chance to shoot Michelin starred chef, Glynn Purnell and Mick Scully, a local crime writer, then realised there was a potential project in shooting creative professionals from Birmingham. I shot 30 odd portraits over 18 months while I was still living in London and exhibited here in 2015. I had some time off and restarted in 2016. We’re really privileged to be part of a project which features so many of our own local heroes. Thanks, Ian. Big grins. A nice thing happened recently. 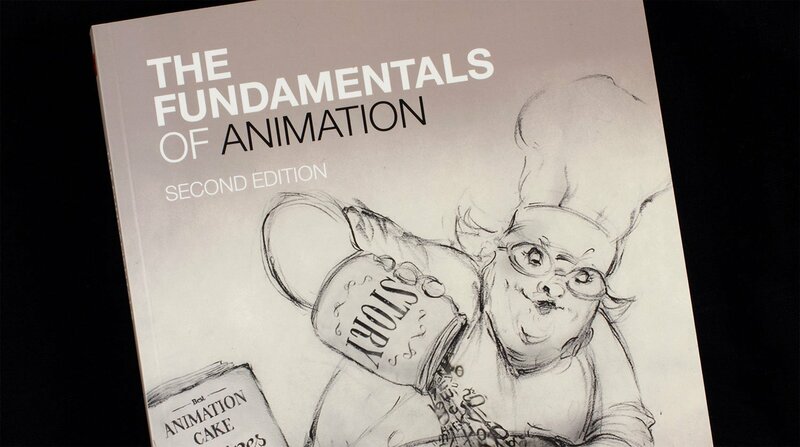 The second edition of The Fundamentals of Animation was published and our ‘Legends’ film for Pilsner Urquell was covered in some great detail in the book’s ‘Design as Concept’ section, together with a feature on the studio in general. Enormous thanks to Samantha Moore and Paul Wells for allowing us to be part of this. It’s one thing to be ploughing your furrow, often in the dark (metaphorically and literally) and so focused on the aims of the storyboard, that you don’t think you’re ever breaking any ground. Being interviewed by Sam and having the Legends project broken down in such granular detail made me realise that we did actually try a few new things. 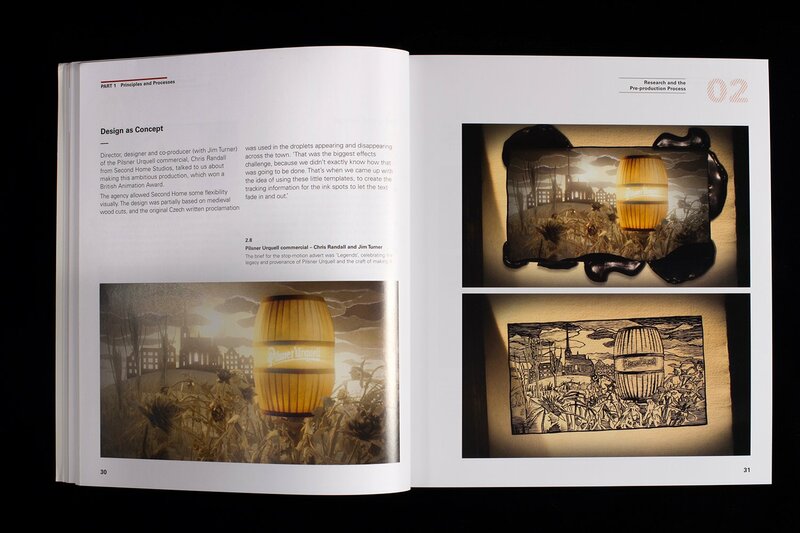 We’re genuinely honoured to be featured in such a staple industry publication. Here’s a smattering of images from the making of ‘The Crocodile Trap’. The main characters are marionette and rod / hand controlled puppets. 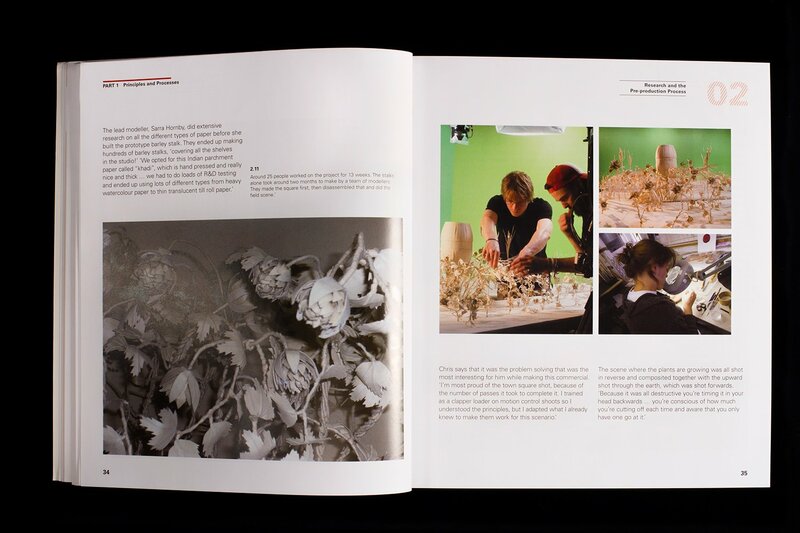 Modelmaker Kat Simpson featured. Recently I found myself in the surprising but pleasant position of picking up a BAA award for Best Commercial in the Public Vote Category for the Pilsner Urquell ‘Legends’ animation. After shambling on to the stage looking slightly stunned I was handed a beautiful paper sculpture of the BAA sheep atop a hill, all sealed inside a jar in a ship-in-a-bottle style, courtesy of artist/illustrator/animator/producer Yasmeen Ismail. All the awards were hand made like this by other animators, illustrators and artists which was a really nice touch. 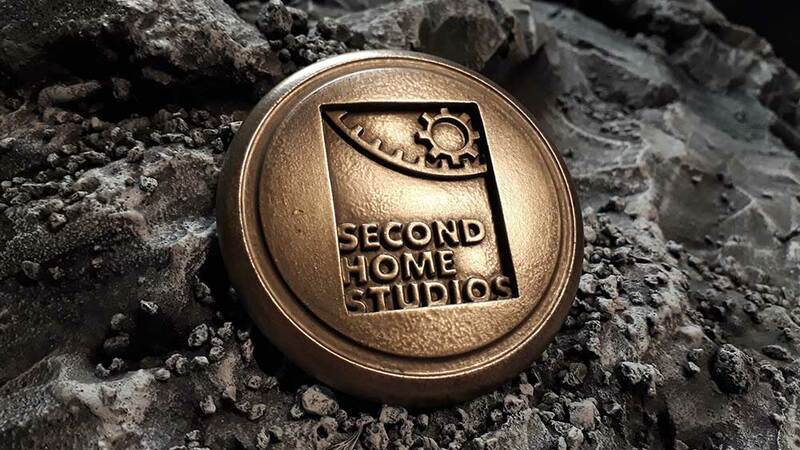 Much better than a drop-forged metal gong on a teaky wooden base. It’s a massive testament to the dedication and good humour of all the modellers, animators, compositors, assistants, technicians and tea-makers involved that we were able to keep going through the rough patches which were beyond our control (such as the excavation of the mains supply mid-build). 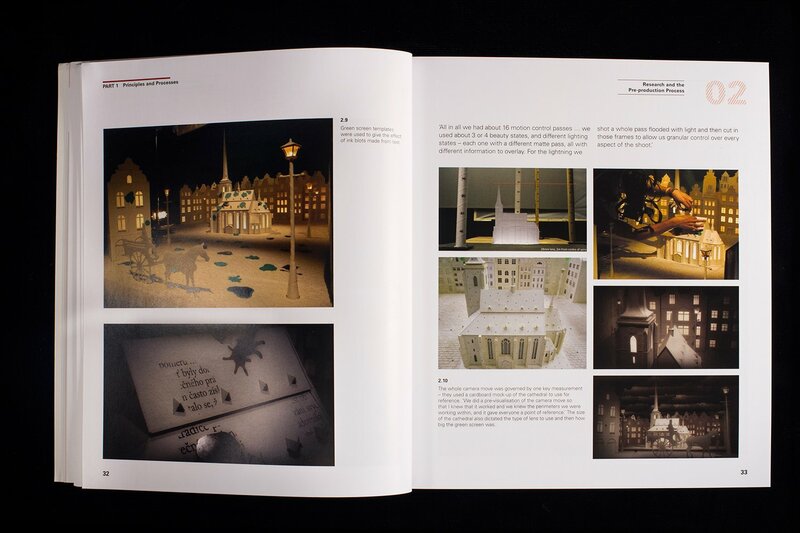 Just over 12 months after the completion of the Pilsner Urquell Legends animation, ‘The Day Pilsen Struck Gold’, the studio was commissioned to construct a special replica of the original book used in the film for an extended print campaign. Using the same materials (Indian hand-pressed parchment called Khadi) and similar model-making techniques as before, a single book was made to work for both portrait and landscape executions where narrow rivers or tributaries were carved into the pages by hand. In order to scale correctly with the glass, the book (in its open state) was 660mm high by 920mm wide. The final images were used to illustrate the unique origins of the beer and the derivation of its name. 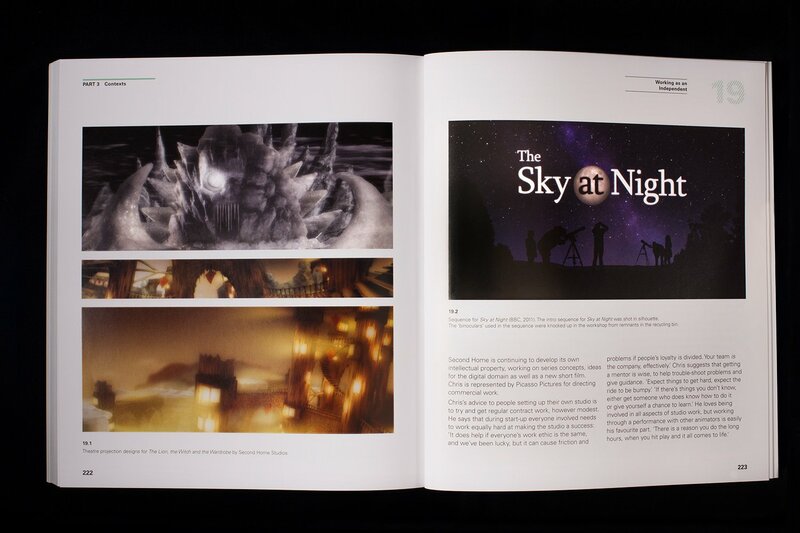 The end results were welcomed as some of their simplest, yet most effective, imagery to date.